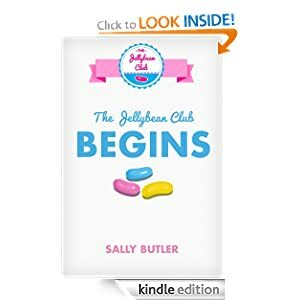 Book Review: The Jellybean Club Begins by Sally Butler - fairy skeletons. When 9 year old Audrey and her best friend, Julianna, discover a tattered note in Audrey's mailbox, they embark on an adventure that will change their lives forever. A missing show dog worth a fortune, two dangerous villains and a series of mysterious clues come together in this first exciting adventure of the Jellybean Club. It was cute. Really cute. Although I'm not a big fan of the mystery genre in general, I was kind of drawn to the cover. I liked the cover (okay, now I'm being redundant). It was on sale for free, so I got it onto my Kindle. However, it was a bit rushed, but it will appeal to younger readers closer to Audrey's age. The intro was pretty good overall. The inciting incident, in which Audrey got thinking about her future as a detective, was kind of unrealistic, but then again, she was nine years old. I didn't really get the point of having a younger sister in there, though. Ashley didn't do much throughout the book, and neither did Dani, another character's younger sister. I was confused as to why the author would have bothered to write such useless characters. At first, I was criticizing the way these kids thought of the money - a $10,000 reward - because I thought they would misuse it. A real, touching motive for getting the money only manifested itself much later in the book, and very suddenly. There was almost no foreshadowing whatsoever, except that Georgette, the girl in need, was always very sad. If there had been more foreshadowing, it would be more justified and believable. The villains were also introduced far too late. If I'd gotten a sense of what these kids were up against, I might have cared more about the outcome of the story. I honestly didn't like it all that much - it was too juvenile for me. However, it's cheap and I suppose younger kids will like it. Give it a shot.